Writer, broadcaster, journalist, IT Manager, living in Co. Westmeath, Ireland. Author of “Shiprocked – Life On The Waves With Radio Caroline” plus many published short stories and articles. In the late 1980s I worked offshore for Radio Caroline as Head of News and presenter (and eventually Programme Director) for the Caroline 558 service. This was a wonderful time, great radio, and great fun. I stayed with Caroline past the end of offshore broadcasting, and until the 1991 shipwreck when I was one of the people rescued by helicopter (thank you RAF!) after we ran aground on the Goodwin Sands. More recently I spent 11 years working for Phantom 105.2 in Dublin, joining the station in 2000 during its pirate era (as Phantom FM), staying through the temporary licences of 2003/4, and the firs tfive years of its fully legal incarnation. 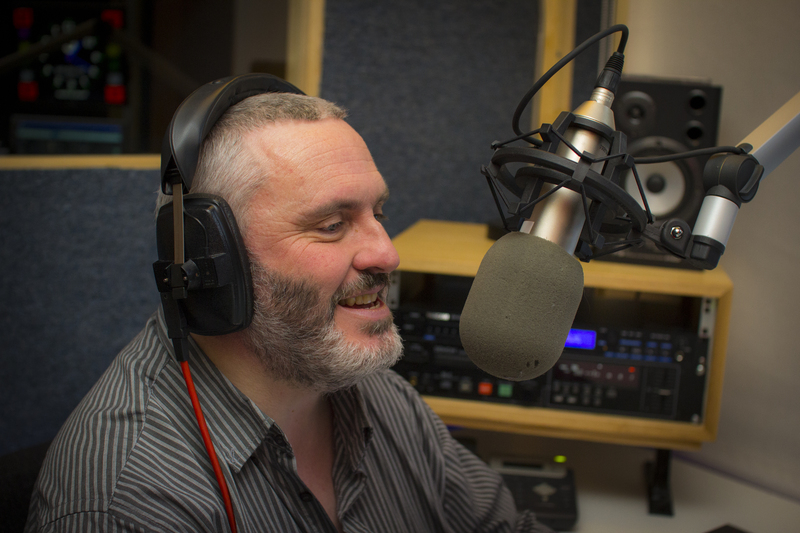 In 2013 I was delighted to be invited to join the launch team of a new station operating from Dublin, 8Radio.com, brainchild of former Phantom founder Simon Maher. I’ve written a book about my experiences with Radio Caroline and the last few years at sea, as we lurched from crisis to crisis (SHIPROCKED – Life On The Waves With Radio Caroline, published March 2009 by Liberties Press) . I’m currently completing a second full length book which will bring the story up to date and include both my time with Phantom and other stations, as well as my return to Caroline (now transmitting via satellite and online) in 2010. I have also had several short stories published, and am also working on a third nonfiction book (travel related) which I hope to complete in 2018. I’m a great believer in bringing the printed word to life, and take part in regular readings and open-mic events at least twice a month in Dublin and other parts of Ireland, as well as reading and speaking at events in the UK and further afield. I have written news and lifestyle articles for publications in the UK and Ireland, including Hotpress. The above activities share space in my life with an ongoing career in IT Service Management, which is the bit that pays the bills! Personality wise, I am a complicated mixture of introvert and entertainer. Politically I’d describe myself as encompassing aspects of both “wings” – I describe myself as an authority-loving anti-authoritarian, left and right wing hippy individualist goth indie pop prog rock album track single hit lover, in love with technology but pining for my simple past as a sailor. Musically my tastes are very varied, in my time I have played everything from soft pop to hard rock via goth, indie, country and blues, and enjoyed it all. Although my offshore pirate days with Radio Caroline are far in the past now, they have never left me, and truth be told there is hardly a week goes by that I don’t think wistfully of how nice it would be to be 18 miles out in the middle of a moonlit sea playing music and just hanging out. I’d love to live in a huge library on board a radio-ship in International waters, but just for now, I’m happy to live in the real world. I see that you have got your book published at last! Please drop me a line or visit facebook and join the happy band of ex pirates that live there……there is a lot of fun to be had there as we head rapidly to middle age! I have spent the last few days there disscussing our past adventures with Judy Murphy and Caroline Martin with Dave Asher dropping in from time to time…it’s great fun! Did you realise that it is 17 years ago tonight that we endured the grounding on the Goodwins? Good news. I shall be ordering a couple of copies of the book. Great radio indeed with all of the drama! Thanks for finally getting around to putting it all down on paper for those of us who still care for and long for some of that old radio magic again. Roll on March 2009 eh? Hope all is well in Dublin too. Just a note to say we’re back. Take a listen. I remember you gave us so much help when we were analogue on the Astra satellite. We had a lot of response from that “Waterford” transmitter on 104. something over that period! The Conways in my family were the Conways of Inchicore in the early part of the 20th century (my grandfather, J J Conway ran an Iron Foundry in Inchicore) and before that from around the Burncourt area in Co. Tipperary in the late 19th C.
Just a brilliant book. The first pirate book I have got through with out questioning the truth of it. Realy enjoyed the read. Great to meet you today, really enjoyed your reading at Chapters, (without sounding like a stalker, I was the girl sitting to your right) hopefully see you again, and keep the comments here posted about further work! I just want to thank you very much for signing the copy of your book that my brother and your former co-worker Hans K. gave to me. Steve, I thoroughly enjoyed ship-rocked. So much has been written about pirate radio experiences, but I think Shiprocked stands out for completeness and very good writing style. I only regret I never heard your program – but I have been in the states since 1985. Best of luck to you with the sales and your career in writing, radio, or whatever you get into! HELLO RIC I THINK YOU ARE THE DJ RADIO LASER 558 I AM FRENCH VERY BEST RADIO STATION I LISTEN YOUR RADIO IN MP3 TODAY BEST PROGRAM AND JINGLE S … WHAT DO YOU MAKE TODAY RIC ?…THANKS YOU !!!!! Great To hear you got your book published, I will be ordering a copy from Amazon and look forward to reading it. Thanks Wendy, hope you enjoy the book, you are in it of course! I read the news about you on http://www.mediapages.nl . I often listen to your radioshows on Caroline and I found you’re very succelfoul. I hope your book will be also a big succes for you. Just finished reading Shiprocked — Congratulations! it’s a great read even for those who lived through those years not knowing what great stuff was going on in UK! (Alan gave me a copy in Sept). Hi Steve! i just finished reading your book. A few hours ago, in fact. I loved it! Thanks for a great read. Exciting and entertaining, while it was also great to get some real facts. Best wishes from a pirate radio loving artist from the US now in Switzerland. Do you happen to have, or know someone who has – a typical Caroline programme schedule (a weeks view) from 1985 or 1986 pls? Maybe a scan of, that could be emailed 2 me if no trouble. I remember listening to Caroline (& Laser) around that time – really good memories, great music. So for nostalgia really to be reaquainted with who was on at what time on Caroline. Possibly Dixie Peach was on Caroline then? Andy Archer? Maybe yourself?! Def. Roy Masters one or two evenings a week – a bit like now (Caroline on -line version)! I’m getting in touch with John Burch, who I’m sure has an archive of this information. Cheers Steve. If poss, ’83 & ’84 too if no touble, assuming Caroline was on-air then? I’ve a feeling my 80’s Caroline listening may have started earlier! If push comes to shove def. 1986 and 1984 as those two would be fine. Hey Mark is this you from the Reading area and Blast 1386? i am trying to get a hold of Noel O’Briain’s The Land of She; not having any luck yet. Can you be of any help, please? This is amazing – I moved to Ireland a couple of years ago from Eastern Europe. Back in the ’90s, when communism fell in my country, we started a pirate station in my hometown after reading some article about Caroline in an UK magazine that somehow made it through to us, part of the international aid (first printed material I saw in English, I think). I was just a teenager then, but I remember how we felt and all the things we learned about music, friendship and radio back then. Already dropping messages to my old buddies on Facebook, letting them know that next week I will probably have the chance of shaking the hand of Steve Conway! Can hardly wait for the book to arrive – this has been a very emotional discovery for me, tonight! Thank you! I finally read your book, which gives a correct description of life on board the Ross. It brings back good memories for me. I ran the tender supplies from 1983-1988 with Willy and Danny and we met briefly. Unfortunately we missed each other at the Radio Day in Amsterdam last year, because I wanted to tell you that I still have a few pictures with ‘ a young and slim’ Steve on it. Let me know if you’re interested to see these. Finally got round to receiving your book as a belated Christmas present , and what a great read. Made me appreciate what a devoted and brave team you were all in those days. As just a listener, we never really knew what was going on behind the scenes to keep it all going. Steve. I finished Shiprocked earlier today and really enjoyed it. The pirates changed our lives for the better and brought to us teenagers in the mid 60’s an amazing range of music for which we should all be grateful. I must admit that I didn’t listen to Caroline during the 80’s when you were on board but in retrospect I wish I had! Your last chapter detailing the Ross Revenge’s near-fatal grounding and your subsequent rescue was a marvellous piece of writing. On behalf of those of us who were lucky enough to enjoy Pirate Radio in all its glory, I thank you and all the other onboard personnel for your substantial efforts in bring great music to the masses. Iwas absolutely enthralled by every page i read in the shiprocked book and well remember many of the incidents as mentioned in the book including the aeriial tower collapsing into the north seasuch a catastrophicevent that could have spelled the end of the station aswe knew it but she came back asgood andpowerful in strength and volume and the legendas we know her liveson today albeit on sky0199and who knowsmaybe this yearwillreturn toam broadcasting where the station oncetruly belonged,allthe best from john macleod. Hi Steve, I read your book “Shiprocked” this week for the third time and still find it very interesting. Especially the part about the grounding of the Ross Revenge on the Goodwin Sands is very impressive. I have written a small piece about your book on MediaPages.nl. Hi Steve, since you haven’t posted here for 3 months, I am hoping that you are well. I also have read ship rocked several times and enjoyed it very much. I’ve been incredibly busy with one thing and another, but hope to get back to regular posting soon. Thanks for reading! I stumbled across an interesting blog by you by accident. Wow! I can’t believe how much you have changed, I hardly recognised you. I hope you managed to lose some weight and that life is still treating you well. Enjoyed reading your blog, it was very interesting. Lovely to hear from you, and hope all is well for you and your family. 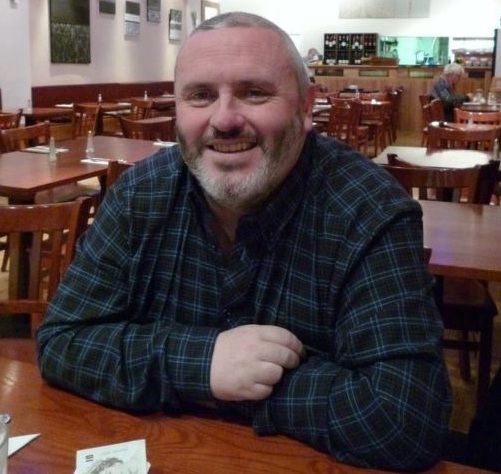 I’ve probably changed in many ways over the last 10 years, certainly physically, though I am trying hard to reverse those changes – have lost 4 stone this year so far. But in terms of attitude and outlook I have continued to grow and change, and have developed wider tastes and a greater lust for life. I’m doing a lot of writing, several short stories published, and my second book – Running Away From The Circus – is due out this year. Do stay in touch, and I’ll send you a copy. I am a little late to the party but just read your book during my holidays. I was on board for a brief spell in the July – and even read the news when Tony Peters was not. A friend followed me out as a result, for a longer more dramatic spell in October . I was working in Telecoms so did this as a holiday. I seriously wanted to go back and looking back now and reading your book makes me wish I had done so when you needed help, perhaps in 88. Amazing commitment you and others had. I realised times were tough but had not truly appreciated this. Also the positive outlook of the “old man” is interesting. Hope to see you at the 50th ? Finally got round to getting a copy and reading it with great enjoyment, Well ‘spose I would I come across in it rather well! All the situations you describe pretty accurately remembered and recounted, certainly for the times I was on board with you. Excellent, well done, and get in touch. Actually I do remember, sort of, I certainly remember fixing the coil. Good to hear from you. Hi Stephen, congrats on Caroline book! Ronan was my cousin, would like to get signed copy as I collect interesting blooks? Could you facilitate, or where can I purchase same?